Come join us for a night of Greek, Arabic, Turkish, and Balkan music and dancing at Caffè Sole. 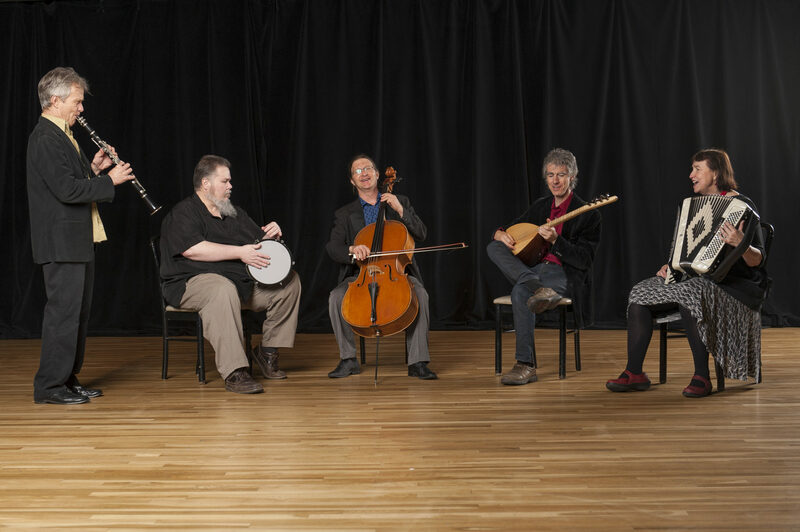 Core members include Jesse Manno on Bouzouki, Baglama, Ud, Flutes, Vocals and percussion, Brett Bowen on percussion, Julie Lancaster on accordion and vocals and Dexter Payne on clarinet and sax. Per Brett Bowen… “Come celebrate with us! This will be a marvelous chance to show your support for this type of World Class, World Music – performed by dedicated LOCAL musicians committed to enhancing your life through sharing of community, culture, music, dance, and celebration!” Sherefe tends to fill the house, so come early and get a table and enjoy some good cuisine, beer and wine. First come, first serve for dinner and showtime is 7-10.